Smollett reported in January that he was walking alone in the city around 2 a.m. when two men attacked him, hurling racial and anti-gay slurs, shouting, “Make America great again,” throwing bleach on him and putting a noose around his neck. Police investigating the incident eventually concluded the attack was a hoax, which Smollett continues to deny. Two brothers from Nigeria claimed the actor hired them to stage the attack, and Smollett was arrested Feb. 21 and charged with filing a false police report, a felony. 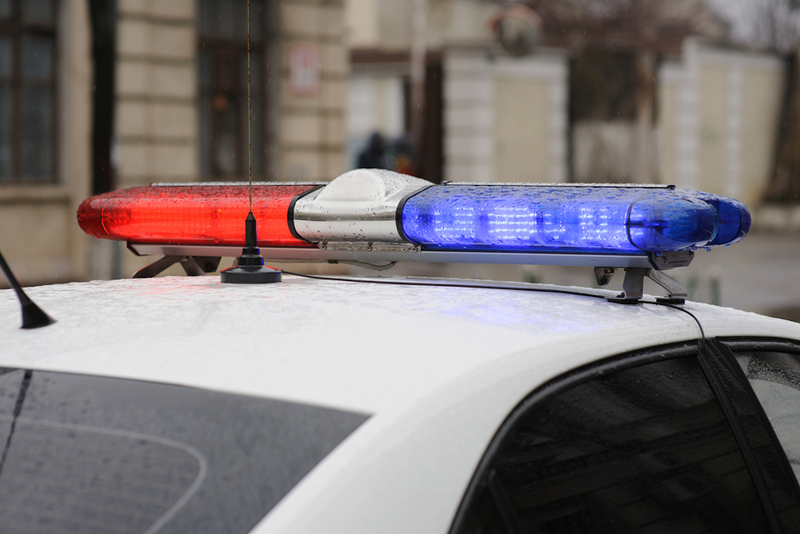 In all, he faced 16 charges of disorderly conduct. On March 26, police were stunned when all the charges against Smollett were dropped after he agreed to forfeit his $10,000 bail and perform community service. Cook County State’s Attorney Kim Foxx, who allegedly recused herself from the case after it was revealed she had spoken to members of Smollett’s family, defended the decision of her office to drop the charges, saying Smollett had received a comparable penalty to what would happen were he convicted. Chicago Mayor Rahm Emanuel and the police, however, reacted with outrage, saying the investigation into Smollett's allegations consumed huge amounts of resources that could have been used to solve real crimes. "Our CPD investigators and many street cops worked diligently to catch the people that committed a hate crime," a commenter wrote on the police union Facebook page. 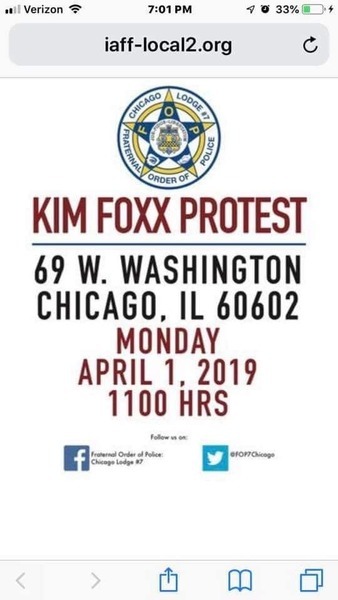 Police and others plan to protest outside Foxx's office at 69 W. Washington on Monday at 11 a.m.
Want to get notified whenever we write about Chicago Department of Police/Police ? Next time we write about Chicago Department of Police/Police, we'll email you a link to the story. You may edit your settings or unsubscribe at any time.